UNESCO honored late President Ho Chi Minh as a prominent symbol of national bravery since he dedicated all his life to the liberation of his country and people and contributed to humankind’s common struggle for peace, independence, democracy and social advances, said Katherine Muller-Marin, UNESCO chief representative in Vietnam. She made the statements at an international seminar titled “Ho Chi Minh’s heritage in the current era” held here by the Ho Chi Minh National Academy of Politics and Public Administration on May 12 in commemoration of the late President’s 120th birthday (May 19). About 400 delegates, including 52 foreigners from 22 countries, attended the seminar. “He left for us a great and invaluable legacy, including the Ho Chi Minh thought, the Ho Chi Minh era, and Ho Chi Minh’s moral example and style,” Mr. Trong said. The Ho Chi Minh thought is a system of comprehensive and profound points of view on fundamental issues pertaining to the Vietnamese revolution. It is the result of his learning the philosophies of Marxism-Leninism and creatively applying them to the actual conditions facing the Vietnamese people with during the revolutionary era. The thought combines great respect for Vietnamese people’s traditional values with the most essential elements of universal human cultural, he added. 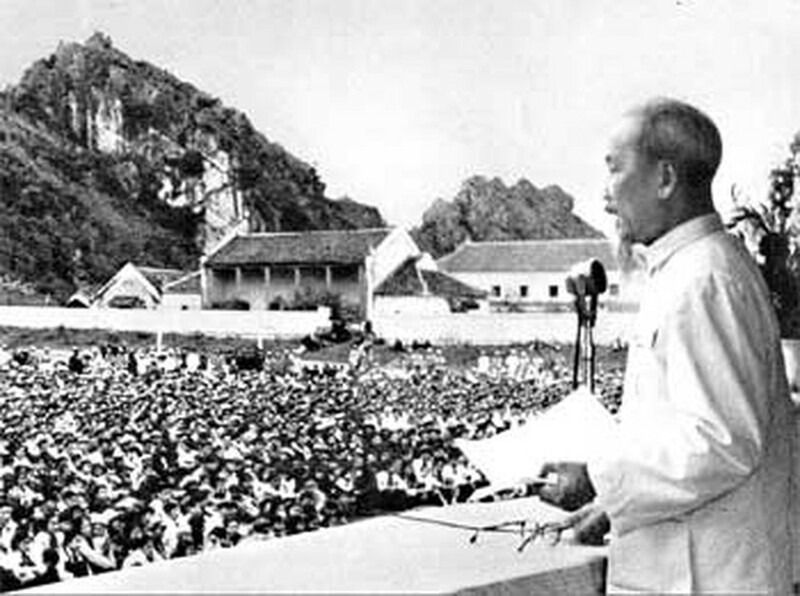 The era ushered in by Ho Chi Minh was the most glorious period in Vietnamese history, the age of independence, freedom and socialism. Not merely a brilliant mind, Ho Chi Minh successfully turned his revolutionary theories into practical reality, making him one of the most eminent military strategists of the 20th century. Under his leadership, the Party, army and common people have united to overcome innumerable hardships to gain victory throughout the country’s struggle for independence and freedom, he said. Meanwhile, the lifestyle and daily living activities of the late President provide great examples of simplicity, morality, and nobility, which are the embodiment of the nation’s cultural values, he said. Honored as “an outstanding culturist and a national liberation hero” by UNCESCO, the late President left a great cultural legacy not only for the Vietnamese people but for all humankind as well, he said. 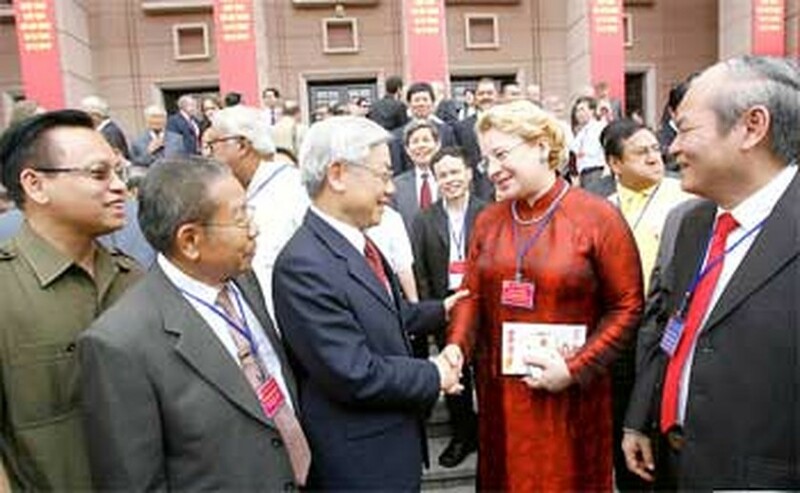 Commenting on the immense social and political influence of late President Ho Chi Minh, Katherine said: “I am here today to fulfill my task in implementation of the 1987 UNESCO resolution on organizing birthday anniversaries of late President Ho Chi Minh, a national hero and a great culturist,” Ms. Katherine said. The UNESCO General Council’s view is that in honoring the birthday anniversaries of the world’s preeminent intellectuals and culturists will help UNESCO achieve its goals and promote mutual understanding between countries, she said. “Ho Chi Minh’s ideals represent the common aspiration of many other nations in the world, which have struggled for affirming their national identity and for promoting mutual understanding among nations in the world,” she stressed. 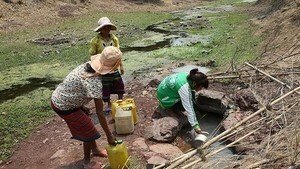 “It was Ho Chi Minh who created such a safe place for Vietnam to land,” she said. The late President Ho Chi Minh is not only honored in Vietnam, but across the entire world as well, she said in her concluding remarks. She expressed her delight to participate in commemorating the anniversary of “a great celebrity, who has left a landmark in the development of humankind and in the history of the Vietnamese nation."